Minister of Youth and Culture, Hon. 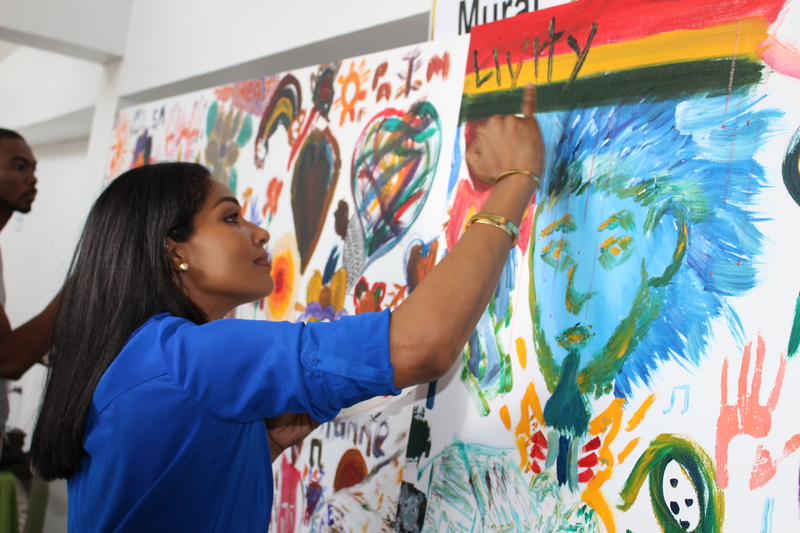 Lisa Hanna, adds her contribution to a public mural set up at the Jamaica Cultural Development Commission’s JCDC) visual arts exhibition, which opened on Sunday (March 15) at the Jamaica Conference Centre, downtown Kingston. The exhibition, which features award winning pieces from the JCDC’s 2014 Visual Arts Competition, will run until March 29. Minister of Youth and Culture, Hon. 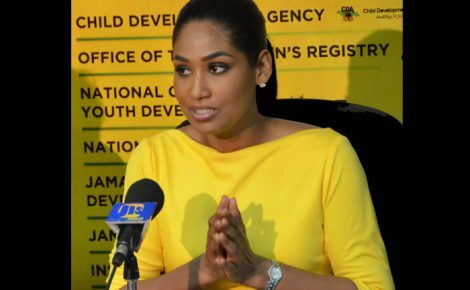 Lisa Hanna, is calling on young Jamaicans to come forward to take their place as the next generation of artists and cultural icons. Minister Hanna said the programmes of the JCDC, an agency of the Ministry of Youth and Culture, are now specifically designed to produce cultural icons. “We have to spawn the next generation of artists and cultural icons in this country. We want to see more young persons stepping forward to take their place at the table,” she said. 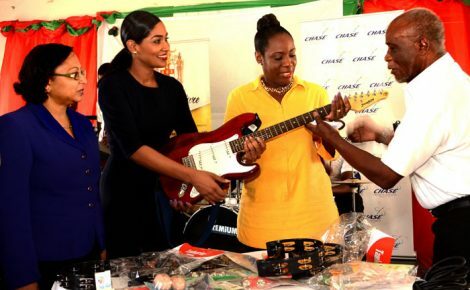 The Minister was speaking at the launch of the Jamaica Cultural Development Commission’s (JCDC) arts exhibition yesterday (March 15), at the Jamaica Conference Centre, downtown Kingston. “So, we are very, very clear that we are not leaving it to chance. We want our young artists and cultural icons to come forward and whatever we can do as a Ministry to assist you, we are here to do that,” she pledged. 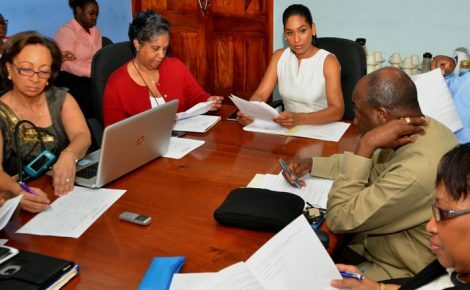 Director of Development and Training at the JCDC, Dorrett Thaxter, told JIS News that the JCDC has been encouraging “young, new and upcoming artists to expose their talents” through the agency’s Arts Development and Training Programme. “We also try to help them to develop what they have,” she added. The art exhibition features award-winning entries from the JCDC’s 2014 Jamaica Visual Arts Competition. It will run until March 29, where the public will be able to view the over 100 pieces free of charge. Carlton Lewis, whose painting titled: ‘Portrait of Nelson’ is part of the impressive display, told JIS News that his piece is in tribute to the late human rights activist and former President of South Africa. “I hope the general public will be inspired by the portrait because he was a man of a certain class, one of the most interesting and serious leaders, who dedicated all his life to people,” he said. Mr. Lewis, who is no newcomer to the JCDC’s Visual Arts Competition, told JIS News that over the years, he has received 11 medals, including gold, silver and bronze. He is encouraging more young people to enter the annual contest. “It will help them to expose their work to the wider public. Persons show more interest in your work when they know you’ve been to this exhibition,” he pointed out. Eighteen-year-old Jordon Morris is proud of his silver medal work titled: ‘Set Free 1 & 2,’ which comprises two pieces depicting the subject experiencing pain, hardships and negative influences, then breaking free of the negativity to reveal his true self. “During the time I did this piece, I felt like I was holding myself back artistically and I wanted to go to a place where I was free to create and where I felt comfortable with myself to do certain things, like to push boundaries,” Jordan said, in explaining the concept of his artwork. The first-year student of the Edna Manley College of the Visual & Performing Arts is the recipient of a bronze medal in the 2013 competition for his piece: ‘Don’t Touch Me There’. “There is so much that I want to say and I try to communicate visually with people. This is something that I am still trying to work on. It is a really long thought process and I want to narrow things down so people can understand what I am trying to portray,” Jordan told JIS News.